Our new church, The Exchange Community, has been meeting monthly through the summer. We’ve had three worship gatherings. We’ve had many people, who haven’t been to church in a long time, come and check us out. We are now taking that next step of faith by starting a weekly worship gathering on September 8th at the Creative Edge. Unfortunately, we had audio problems and so we don’t have a video for our messages on the Gospel and Mission. We will talk on September 8th on Why a New Church? We will talk about why in, of all places, South East Missouri, do we need a new church? You’ll get an understanding of the come-as-you are culture that we’re trying to create. You’ll see what makes this new church community distinct amongst the other churches in our communities. You’ll also see why this new type of church is needed. Please pray for us as we start this new church to reach many more people with the love and message of Jesus Christ. How Should We Dress When We Go To The Exchange? Should I Bring My Kids To The Exchange Community? We’ve been gathering in our Missional Communities for over a year now. God’s been doing some great things through those MCs. We believe faith grows in motion and that the Christian life is best lived out together in Gospel Communities on Mission. Yet we feel like we’re ready to take that next step in planting a church. Starting this Sunday, June 23, we’re going to have our first corporate worship gathering. In other words, Jesus traded places with us. The sinless son of God, the prince of the universe, gave up everything he had. He became one of us. He experienced our hardships, guilt and pain when he hung on a cross to die for our sins. He stood in the place of Judgment to pay for all our mistakes. We then, through faith in Jesus, step into his place. Everything that belongs to the Son of God becomes ours! Even though we lived messed up lives and daily make mistakes and do the wrong thing, Jesus paid for it all. Now when God looks at us he sees his Son, whom he loves. He sees someone who is accepted, approved of, and loved just as much as if we were Jesus himself. Now then, we then strive to also make an exchange in our lives. Since he has shown us such great love, we want to love in return. We want to be a community who follows in Jesus’ ways and who loves as he loves as we exchange our dreams for the God’s dream to see all people become his children once more. We hope to start a weekly service after Labor Day. Don’t depend our you GPS or your Phone to find your way to the Creative Edge. Their Address is not recognized by Google maps or any GPS I’ve found. 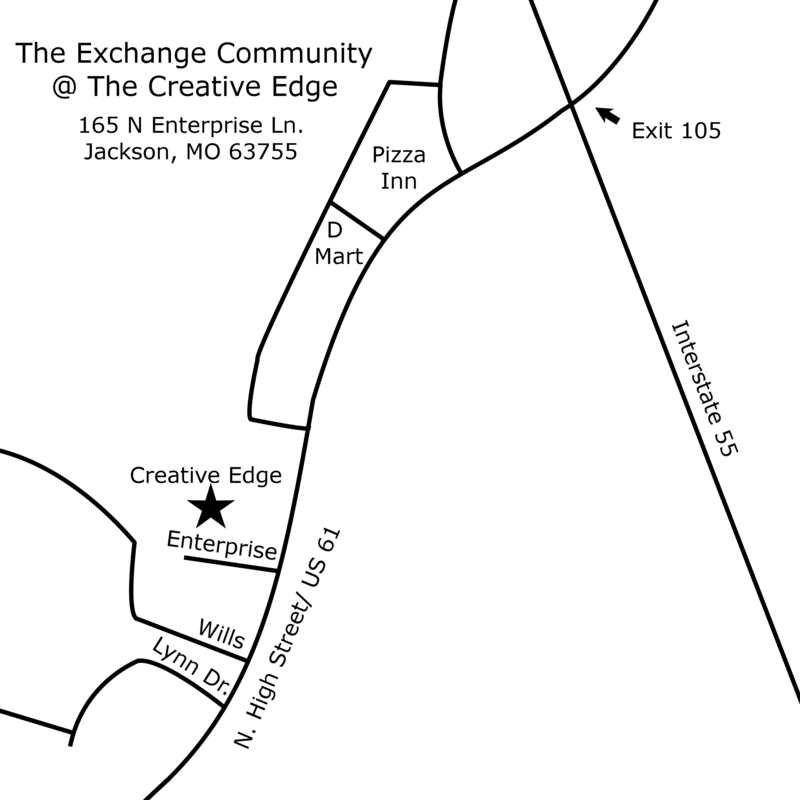 You can follow this link to a map for the Creative Edge, even though they have the address wrong. Because of this I also created the map on the right you can follow. Enterprise is about a half mile south of Exit 105 on Interstate 55. We have invited a number of unchurch or dechurched people to attend our worship services. Some of them have been involved in our Missional Communities. Others have not. Please pray that all who have been invited come and that they experience the love and presence of Jesus. What is the Church: Why We Won’t Be Launching A Service Any Time Soon. What do you think of when you hear the word, “Church”? Chances are you think of a buildings with steeples, organs, praise bands, hymns, liturgy, sacraments and sermons. When we think of the word, Church, our minds usually jump to an activity that happens during an hour on Sunday morning. So what is the Church, and what are we called to do? Gathering around Word and Sacrament – According to the Augsburg Confession, The Christian church is “the assembly of all believers among whom the gospel is purely preached and the holy sacraments are administered according to God’s word” (Kolb, Ac VII, 1). These are the “Marks of the Church”. When we gather publicly, we gather around God’s preached word and the sacraments. A Body, a family, – Scripture describes the Church as a body and family and as gathering something more regular than a weekly thing (1 Cor 12:12ff, Ro 12:4-7, Eph 2:19, Acts 2:42-47). The purpose of the church service and church workers is, in part, to equip us for living the Christian life (Eph 4: 11 ff). It is to help us in our love for God, Love for neighbor, and witness to the world. While what we do on Sunday morning is part of being the church, we often focus on the corporate worship as being the only thing of importance at the cost of the rest of the Christian life. We want to spend our time and energy on reaching the Lost. The goal of this new church is to reach people for Christ and to disciple them in the faith so that they reach and disciple others. If we launch too soon, the church service is going to become central. Everyone, even non-christians recognize that a weekly gathering is an activity of the Christian. For most, it’s the only activity and mark of a Christian’s life. We want our energy and passion to focus on reaching the lost. If we launch too soon, the majority of our energy will have to go into a service rather than the mission. We Don’t want our DNA watered down. As i mentioned above, there is usually a large influx of attenders when a new church launches a public worship service, many of these people are disgruntled church hopping Christians. You need a DNA strong enough that it remains primary and doesn’t get replaced by what your visitors expect to receive from church. It would be a great shame if after all this work, we launch a church that ends up being filled with people of the same mentality where only 20% want to help in any way and 80% are largely passive. It would be even a greater shame if these people we all just transferred from another congregation. We want to see people coming to Christ before we start a service. In the New Testament, churches are started as a result of people responding to the Gospel. If we start a service before we start seeing conversions, the service again will become about us and our wants and desires rather than about reaching the lost. Unchurched people have more relationships with unchurched people than those who are faithful church goers. The more people we can win for Christ before the launch, the more unchurched people we can invite through them. The purpose of this is not to give an exhaustible definition of the church. Rather it is simply to describe a couple of the dimensions of church that are pertinent to why we would put off holding a weekly service. If you have any thoughts on what could be included in what the church is or in the reasons why we should or shouldn’t put off having a service, feel free to leave a comment. According to Chan, why was the church formed? Why do we need the church community as Christians? What are the things we substitute in our spirituality instead of the Christian life? Why do you think we focus on other things than mission? According to Jeff, how does Peter lay out our witness as a Christian community? Who is a worship leader in a church? What are the Gospel rhythms that Jeff shares? How is each rhythm informed by the Gospel? How can we use them to share and show the gospel? Note how some of the rhythms were present in Jeff’s stories. How were Nikki and Clay reached? For my Core Group, please continue to read the Gospel-Centred life this week with chapter 2, A life for others. Read it, return to it, live it, and we’ll talk about it next week. Watch the above video from Jeff Vanderstelt and think about these questions? According to Jeff, what is the purpose of life as Christians? How is that different than the way you have viewed life? How does Jeff’s explanation of missional communities add clarity to what we can and should do with our church plant? Who does the work of the church? What does Gospel-fluent mean? Do you agree with Jeff that the church is usually like an orphanage? 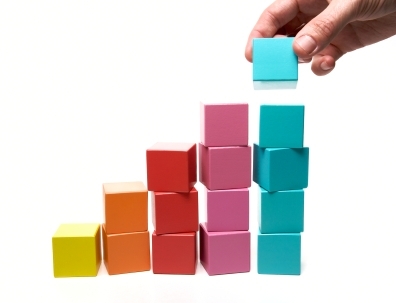 What could pastors and individuals do to change the way people grow in the faith?